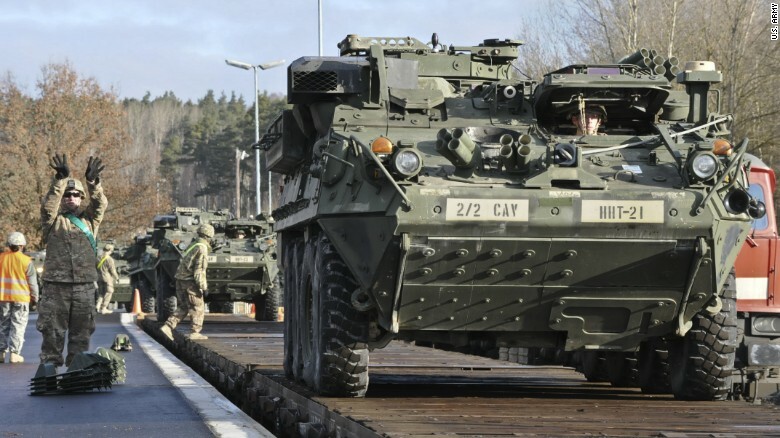 U.S. is sending tanks, Bradley armored fighting vehicles and self-propelled howitzers to its allies in Central and Eastern Europe. It will include 90 tanks, 140 armored vehicles and 20 pieces of heavy artillery. 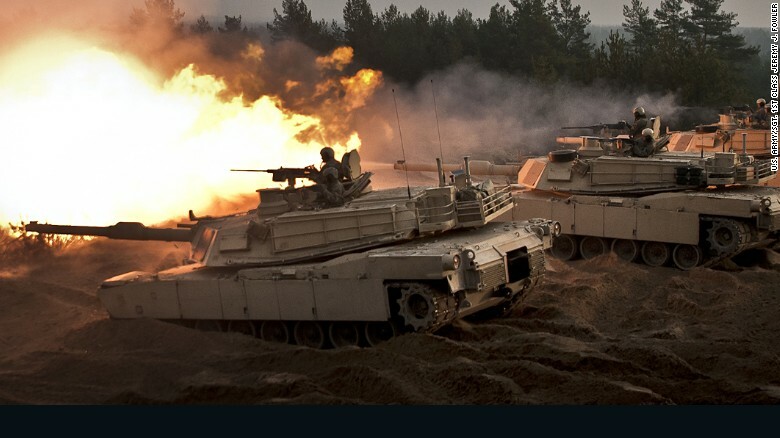 Enough equipment to arm an entire brigade will be positioned in Estonia, Lithuania, Latvia, Bulgaria, Romania and Poland. This is a clear response to Putin’s actions in Eastern Ukraine and a show of support for its NATO allies. U.S. had this same amount of armor stationed in West Germany during the Cold War, making it more of a symbolic move than a strategic one. At this point, it could all end in sabre-rattling but with this kind of escalation there is always the possibility of more serious conflict erupting. It would be a "more serious conflict" if Russia was to do to one of those Eastern European countries what it is doing to the Ukraine. The point it to prevent that kind of "serious conflict". Russia understands and respects strength and exploits weakness. I don't think it's a good idea. At first, who will attack Baltic states in a sane mind? At second, six of this machines https://en.wikipedia.org/wiki/BM-30_Smerch this can deal with all that tanks in a minutes.